I have been reading a lot about the fairly new Google service known as “Google Now”. For those of you that don’t know or have not yet heard of Google now it is a new Google Service that looks to unify all the things that you would normally pick up your phone to do into one easy to use app. More on it here and here. Screenshot below. It can be downloaded on iPhone so I downloaded it. I have been using it on my iPhone now for about 2 weeks and I love it. I have been using it to check weather and traffic everyday. I also use it to check the opposite before I leave work. Today I searched around to see if it was available for my Chromebook, as I do all the time for services that I like Google related or not. Low and behold I found that it was available in a notification center functionality. I have read a few articles that say that it is in a beta type functionality right now. After Reboot you will notice this icon in you system tray. So far there has been a few things that I have found using it that I have found to be a little weird/ annoying. To receive notifications from anything i.e. Gmail, Gplus, Etc. you have to have them open as a tab. Windows- I will preface this one by saying it might just be my computer that is causing the issue, nonetheless the system tray icon only shows up when there is a notification to view. I had to send myself an email to view the settings page. 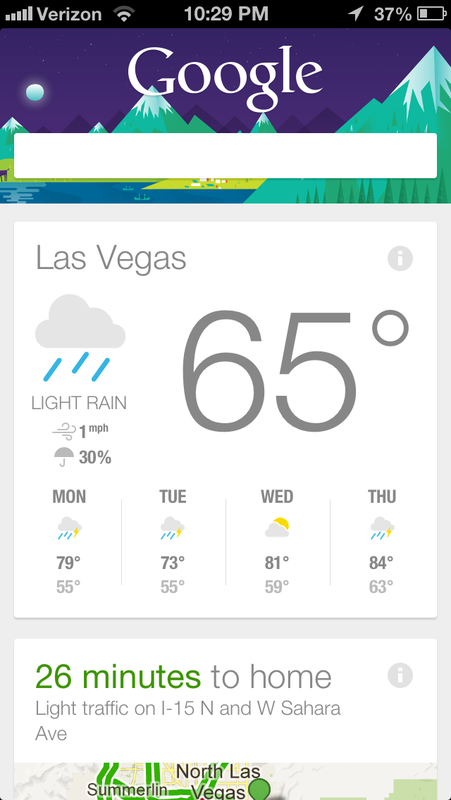 It doesn’t seem as though Google Now is actually integrated yet. Even thought you are enabling the “feature” in the back-end, it doesn’t really seem like it does anything. In other words it doesn’t add any features other than the tray icon. More of this and other fun stuff to come. Stay tuned! If you want to know more just shoot me an email using the handy dandy contact tool below or throw up a comment. Make sure to hit that follow button! This entry was posted in Chromebook and tagged Canary, chrome, chrome os, Chrome Web Store, chromebook, google, Google Chrome, Google Chrome OS, google now, iPhone, Microsoft Office, Microsoft Windows, Windows by James Arnett. Bookmark the permalink.